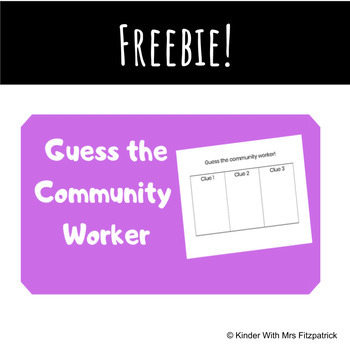 Use this after learning about different jobs and workers in the community! This is a fun way to see what students have learned about different workers. 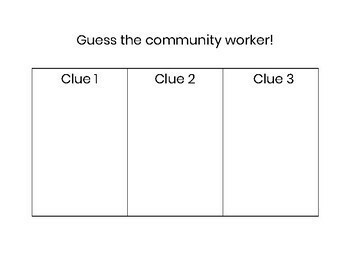 Students choose a worker and then create the clues about which worker they picked.